The United States M3 Lee tank was named after the Confederate general Robert E. Lee. The M3 first saw action in World War 2 in 1941. A total of 6,258 of the tanks were manufactured. 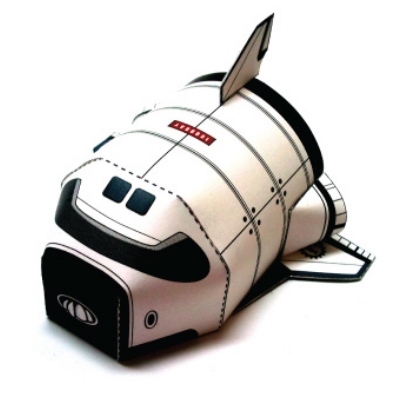 This small (1/72 scale) paper model of the tank was created by Box Studio of Japan. 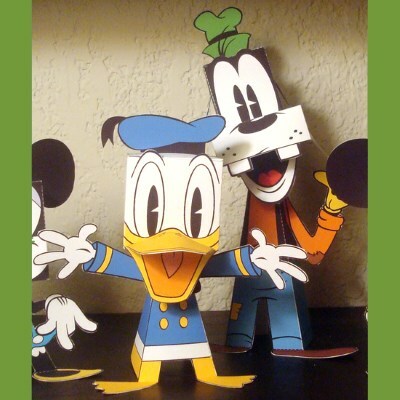 PDF templates and instructions for the papercraft may be downloaded here. The 2011 movie Real Steel features giant fighting robots. The protagonist robot in the film is a blue Japanese-built robot named "Noisy Boy". 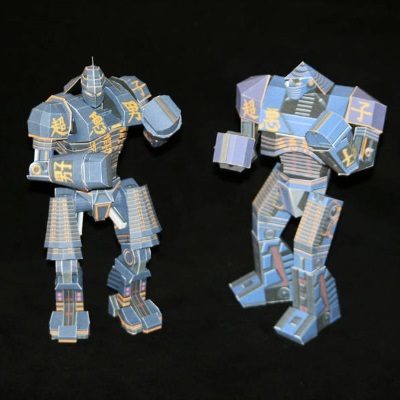 Before the movie premiered, two free paper models of Noisy Boy were released as a promotion. 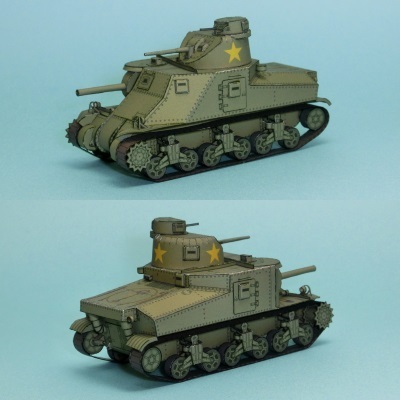 One model was a simplified, easy-to-build version (pictured on the right) and the other was a more detailed version (pictured on the left). 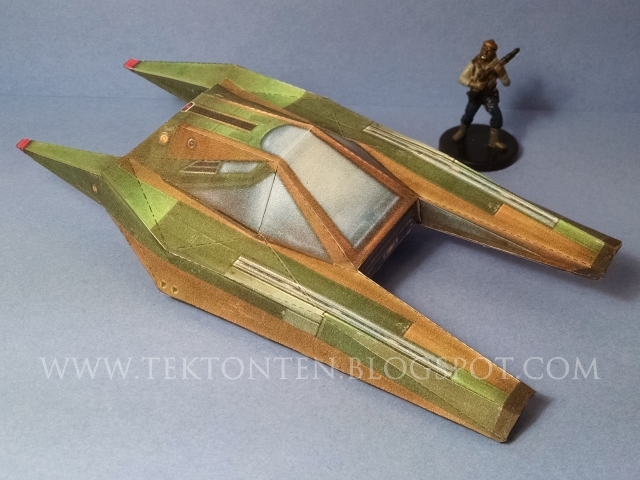 A download of the PDF templates for both models may be found here. Instructions are included in the download. 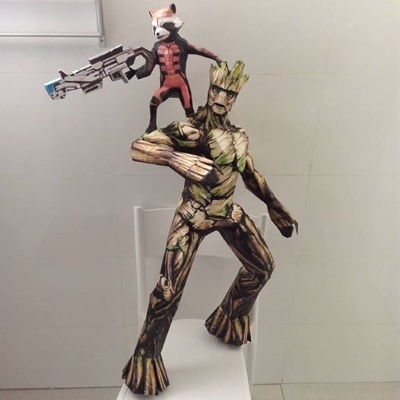 The designer of these models is DeviantART member ThunderChildFTC. 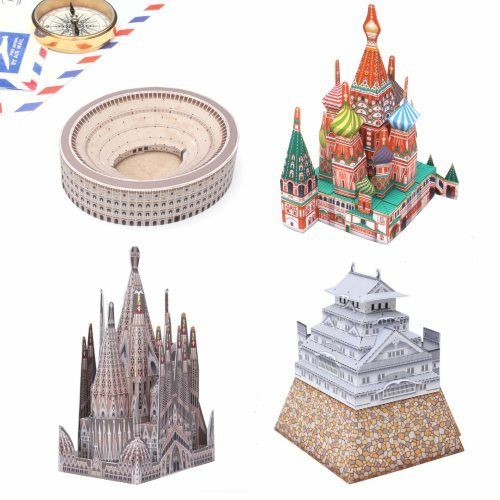 This is my papercraft offering for the month of March (a list of previous monthly papercraft may be found here). 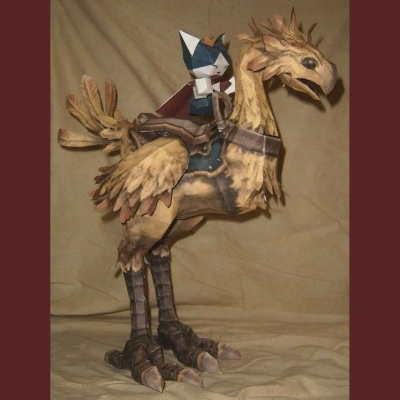 Years ago, when I first started doing my own papercraft, I did quite a few life-size models based on simple objects in old video games. This Luger pistol from the Return to Castle Wolfenstein video game is one such model I never got around to releasing (until now). Wolfenstein is a WW2 themed game and many of the German enemies in the game carry this Luger. You will notice the game designers didn't even bother to put a trigger on the gun. 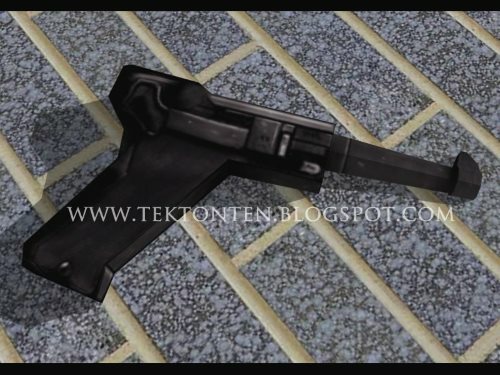 ^^ The PDF template for the gun may be downloaded here. In the Harry Potter universe, the family of Harry's friend, Ron Weasley, live in an odd, magical house called "The Burrow". 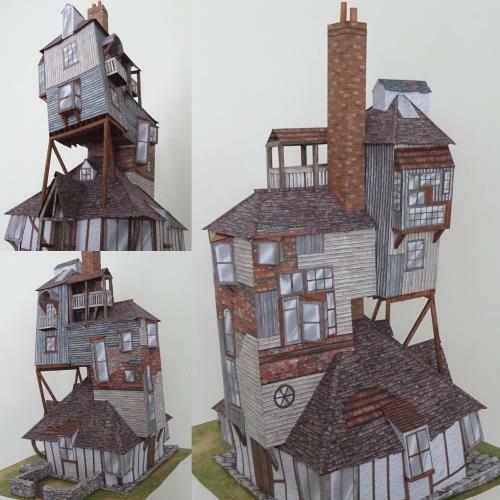 This paper model of the domicile by Claudio Dias is based on how the house appears in the Harry Potter movies. 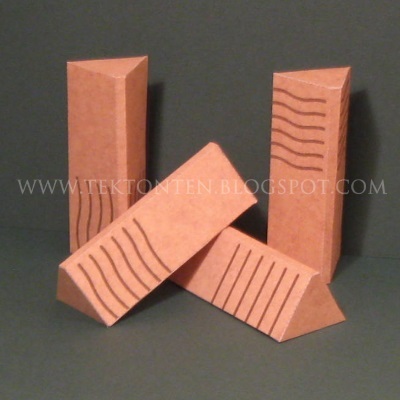 The sixteen page printable template for the model may be downloaded here. Harry first visited The Burrow in Harry Potter and the Chamber of Secrets. 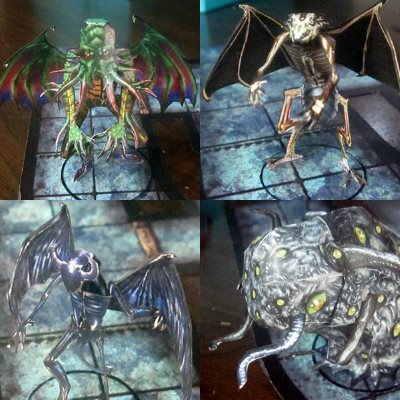 James Fritzler has a unique system for creating glue-less, pose-able papercraft. 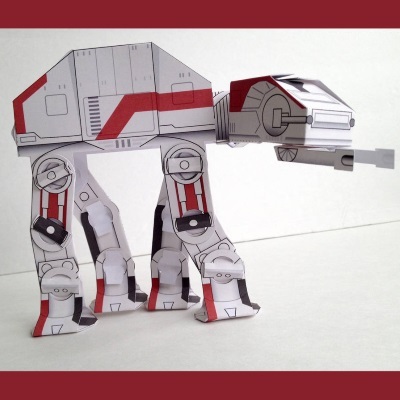 This red Star Wars AT-AT is one of his many creations. 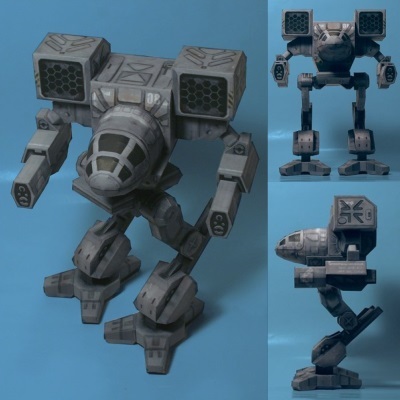 The PDF template for the walker may be downloaded from his DeviantART page here. Be sure to check out Jim's other creations while you are there. 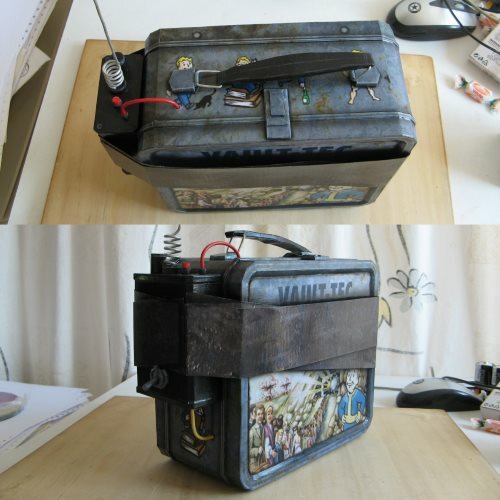 In the Fallout 3 video game, players can create an explosive device from found objects which include a lunchbox and bottle caps. This full size paper model of the so-called "bottlecap mine" was crafted with meticulous care by Broken Papercrafts. The illusion of the papercraft mine being real is enhanced by coloring the edges of the card stock and the addition of some bits of wire here and there. 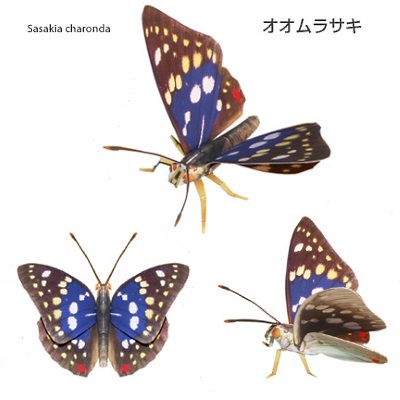 The Pepakura PDO files for the project may be downloaded here.